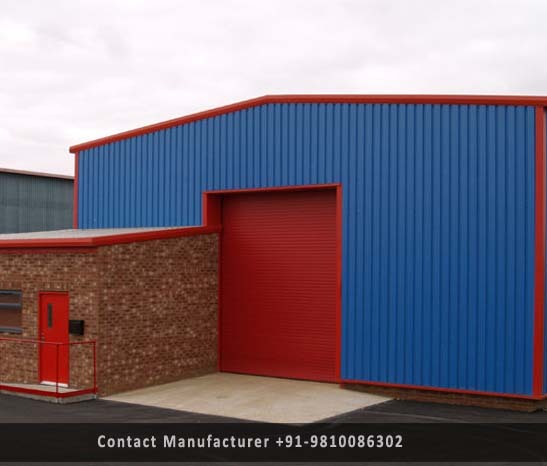 Prefabricated Factory Shed Manufacturer in Delhi, Prefabricated Factory Shed Supplier in Delhi, Prefabricated Factory Shed in Delhi. We have emerged as the foremost manufacturer and supplier of a world-class range of Prefab Industrial Factory Shed. For the Custom fabrication of these Industrial structures, we use high-grade quality raw material and latest and advanced technology as per the international norms. Our Shed structures are widely used in various industries due to their reliable strength, durable construction build and easy to install in industries. We offer these products to our clients in different sizes and other related specifications at very economical in nature.